As a beginner, the soap making terms that you have encountered have likely left you somewhat confused and frustrated. Bad enough that you are overwhelmed with learning a new craft but it probably feels like you have to learn a new language as well. Saponification, Sodium Hydroxide, Humectant, Gel Stage .... Huh? And what the heck has tracing got to do with soap? And then there's the acronyms! I have to admit that we soap makers like to use acronyms a fair bit...CPOP, RTCP, M&P. It's a nightmare for the beginning soap maker! To help you out, I've put together a glossary of common (and some not so common) soap making terms and definitions to try and help you make some sense of it all, especially during the early stages of your soap making adventure. A concentrated, highly-aromatic, oily mixture extracted from plants by way of solvent extraction. A compound (known as a base) with a PH greater than 7. Sodium Hydroxide (lye) is an alkali as is Potassium Hydroxide. A substance that can cause an allergic reaction in one individual but have no negative effect on another. A substance that does not contain water. A substance that has the ability to fight bacteria effectively. Any substance that slows or prevents oxidation in other substances. In the case of soap, an antioxidant will help to prevent spoilage. Substances that are applied to the skin to reduce the possibility of infection. The use of selected fragrant substances to affect or alter a person's mood or behaviour. Having a strong pleasant odour. A substance that constricts body tissues and is effective in stopping the flow of secretions. Cleans the skin and removes oil. A perfume or essential oil obtained from flowers or petals. Also known as otto and is usually very expensive. The alkali used in soap making. Sodium Hydroxide and Potassium Hydroxide are bases. Of or relating to plants or plant life. Any liquid plant based oil used to dilute essential oils for use on skin surfaces. A 100% olive oil soap named for a region is Spain from where it originated. Potassium Hydroxide is another name for Caustic Potash. It is the alkali (base) used in liquid soap making. Sodium Hydroxide (lye) is another name for Caustic Soda. It is the alkali (base) used in bar soap making. A simple method of soap making that only requires heat to melt oils. No cooking involved. Ingredients that are approved for use in cosmetics like soap, bath and body products and make-up. These ingredients are often available in higher, more expensive grades. Acronym for 'cold process' soap making. Acronym for 'crock pot hot process'. Soap is brought to trace and then cooked until neutral in a crock pot. Acronym for 'cold process/oven process'. Soap is made in the same manner as cold process but is then placed in the oven once moulded in order to force the gel stage. Refers to the time period between making the soap and its use. Soap should be left for 4 - 6 weeks before it is used. During this time the soap becomes mild and the saponification process completes. Abbreviation for 'Drug and Cosmetic'. Designates approved for use in drug and cosmetic products. An extract obtained by the process of boiling botanical matter in a watery fluid to extract its virtues. As opposed to an infusion where the matter is steeped in water and not boiled. To remove scent from a product. Many oils used to make soap have an odour and some of them are deodorized before sale. This is beneficial when making scented soaps so that the fragrance remains true. A synthetic, organic, liquid or water-soluble cleansing substance that acts similarly to soap but is made from chemical compounds rather than fats and lye. The word discount in this context means 'to reduce or use less'. With a lye discounted recipe, you are using less lye than is actually needed to saponify the entire amount of oils used in your recipe. This ensures that the final soap product does not contain any free lye and has extra oils to moisturise the skin. The usual amount of lye that is discounted tends to be around 5% - 10% but some recipes can go as high as 20%. ex. - on Soapcalc where is says "Super Fat/Discount %" (top right corner) you will see the default amount of 5%. If your recipe needs 100 grams of lye to fully saponify all of the oils, Soapcalc will calculate the recipe to have 95 grams of lye and this will leave some free oils in your final soap. A water discount refers to using less water than the standard amount that is considered a 'safe' amount. This 'safe' amount of water tends to be about 36% - 38% percent of the amount of oils used in a recipe. If your recipe calls for 100 grams of oils, you would need about 36 grams of water. This range of water is considered easiest to work with, giving you plenty of time to mix in essential/fragrance oils and other ingredients before the soap becomes too thick to work with. The reason for discounting water is to produce a harder bar of soap faster. As soap cures, the water evaporates. If you have less water, the soap will be harder at the end of 4 weeks. Be aware that using less water can speed up the chemical process and if you're not careful, you could end up with your soap seized in the pot. I typically use between 33% and 36% water in my recipes and don't recommend going below 30%. Also note that discounting water does not make the soap cure faster....just makes the soap harder faster. An abbreviation for Dreaded Orange Spot. Can occur in soaps with a high percentage of oils that are prone to going rancid. Looks like small orange-beige spots. Pieces of soap that are 'embedded' into the soap batter during the soap making process. A substance used to soften and smooth skin. Vegetable oils and glycerine are emollients that help to retain skins moisture. A special wax that is used to combine incompatible substances like oil and water into a blended product like lotion. 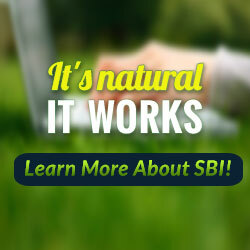 A blend of substances that are normally not mixable. Emulsifying wax when combined with oil and water create an emulsion. A volatile oil that has been obtained from a plant for its scent, flavour or therapeutic properties. An ingredient added to soap that is intended to remove dead skin cells and dirt from the skin surface. A mechanical method for extracting oil from plant material. The material is squeezed under high pressure to remove the oils. A substance, extracted from a plant by way of distillation, pressure or solvents, containing its essence in concentrated form. Abbreviation for 'Food, Drug and Cosmetics'. Designates approved for use in food, drug and cosmetic products. Compounds of carbon, oxygen and hydrogen found in fats and oils. They can be saturated or unsaturated. Of interest in soap making are Lauric acid, Myristic acid, Palmitic acid, Stearic acid, Oleic acid, Linoleic acid, Ricinoleic acid and Linolenic acid. These fatty acids are what give soap their bubbly lathers, hardness, stable lathers, cleansing and conditioning characteristics. Substances used to anchor a fragrance or essential oil to slow the process of evaporation. The lowest temperature at which the vapour of a combustible liquid can be made to ignite. Synthetic imitations of essential oils and other scents. Once soap has been mixed to trace and has been poured into the mould it will begin to heat up. If the soap is properly wrapped and allowed to heat up enough, it will undergo a change. It will become translucent and take on the look of Vaseline. Most soap makers want their soaps to gel but some prefer soap that hasn't. Either way is fine. A thick, sticky, clear substance created during the process of saponification. Handmade cold process and hot process soaps retain the glycerine whereas commercial soaps often remove it. Glycerine is a natural emollient and humectant. Transparent soaps made in a similar manner to hot process soaps that also contain extra glycerine, alcohol and sugar. A method of soap making that requires external heat to speed up the process of saponification. Acronym for 'hot process' soap making. A substance that attracts and aids absorption of moisture into the skin. Unsaturated oils that have had hydrogen added to them to solidify them and make them more resistant to spoilage. Fragrant water left over from the steam distillation process. Commonly known as floral water. The International Nomenclature of Cosmetic Ingredients, abbreviated INCI, is a system of names for waxes, oils, pigments, chemicals, and other ingredients of soaps, cosmetics, and the like, based on scientific names and other Latin and English words. It is currently mandatory to use these names when labelling handmade soaps in Canada and the US. Very similar to making a tea. The botanical matter is steeped in water or oil for a length of time to extract it's beneficial properties. A substance that is incapable of being dissolved. Fats and oils are insoluble in water. Substances that cause inflammation or a painful/bothersome reaction to an allergy. The molecular formula for Potassium Hydroxide. Fat that has been rendered from pigs (hogs). A strip of paper containing a mixture of water soluble dyes that is used to indicate the pH level of a substance. Another name for Sodium Hydroxide. A sad state of affairs for a soap maker! The temperature at which a solid substance (oil for soap making) melts. A commercial process that removes the glycerine from the soap, forms it into pellets, adds fragrance, and presses the soap into shape. A home soap maker can hand mill (re-batch) soap by grating it up, adding a small amount of liquid and applying heat until it reaches a translucent stage at which time the fragrance is added and the soap is moulded. Material Safety Data Sheet. A form containing data regarding the properties of a particular substance and is intended to provide workers and emergency personnel with procedures for handling or working with that substance in a safe manner. The molecular formula for Sodium Hydroxide. A material that does not contain any synthetic substances. In soap making, a substance that contains properties that are beneficial for the skin. Acronym for 'Oven hot process'. Hot process soap making that uses the oven as the heat source. A substance that at one time was alive and has not had chemicals or synthetic materials introduced to it. pH is the measure of the acidity or alkalinity of a solution. A substance with a pH value greater than 7.0 (alkaline) are bases; less than 7.0 (acidic) are acids with 7.0 being neutral. Substances that can cause skin to be more prone to sunburn when exposed to sunlight. A preservative is a natural or synthetic chemical that is added to products to prevent decomposition by microbial growth. Having an unpleasant, stale smell, as through decomposition, especially of fats and oils. Also referred to as hand milling. A home soap maker can hand mill (re-batch) soap by grating it up, adding a small amount of liquid and applying heat until it reaches a translucent stage at which time the fragrance is added and the soap is moulded. Fats and oils that have had impurities filtered out. Beef fat that has been heated and melted down to remove all impurities is said to have been 'rendered'. Ricing occurs when a fragrance oil reacts with your base oils and produces little rice shaped grains in your soap batter. The soap batter will resemble rice pudding. When using a new fragrance, do not discount the water in your recipe and warm the fragrance oil (while still in its bottle) in a warm water bath before using it. A soap making method similar to the cold process method. Instead of using heat to melt hard oils, the hot lye solution is used instead. No thermometers or external heat sources required. Acronym for 'room temperature cold process' soap making. The fats and oils are at room temperature when the lye solution is added. Represents the number of milligrams of potassium hydroxide or sodium hydroxide required to saponify 1 gram of fat. Saponification is the chemical reaction between an alkali (lye) and a fat or oil to form soap. The fatty substance secreted by the sebaceous glands of mammals that protects and lubricates the skin and hair. A rapid solidifying of the soap while still in the soap pan. Usually caused by high amounts of stearic or palmitic acid, waxes or by some fragrance & essential oils. Separation in soap making can happen in a couple of ways. In your soap pot right after adding in a fragrance or essential oil. 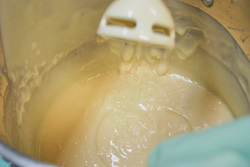 The soap is reacting to the fragrance or essential oil and the soap batter will resemble apple sauce. It can also happen in your soap mould if you pour the soap into the mould before it has reached a true trace. This will look like a layer of liquid oil on top of the soap. The result of a chemical reaction between a lye solution (sodium hydroxide for bar soap or potassium hydroxide for liquid soap) and fats/oils. If it isn't made with lye, it isn't soap. A really bad case of soap seizure while trying to stir! A powdery white residue that sometimes forms on the surface of soap. Can be drying to the skin but is easily wiped off of the bar of soap with a damp cloth. Capable of being dissolved or liquefied. The process used to separate botanical matter from essential oils using solvents. The process used to separate botanical matter from essential oils using steam. The excess oils left unsaponified in the finished soap. This excess oil contributes to the moisturising qualities of soap. A substance (like soap) that, when dissolved in water, lowers the surface tension of the water and increases the solubility of organic compounds. A substance made by an non-natural, or chemical, process. The fatty tissue or suet of animals (horse, cow and sheep). Any of a group of closely related, fat-soluble alcohols that are types of vitamin E, especially alpha-tocopherol. The point in soap making where the mixed lye and oils have combined to a thick pudding like substance. When drizzled on to itself, a trail is left. The portion of oils that do not participate in the saponification process and remain in their natural state in the finished product. Not containing any animal parts or ingredients produced by animals. The resistance of a substance to flow. Honey is more viscous than water. Am I missing any soap making terms that you think should be added? Just shoot me note here and I will add them.